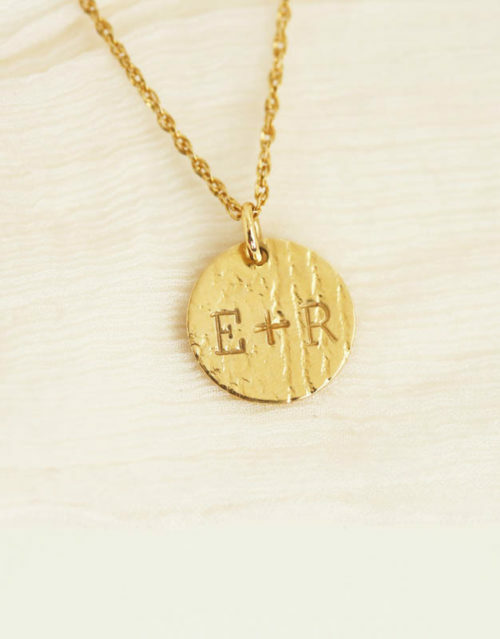 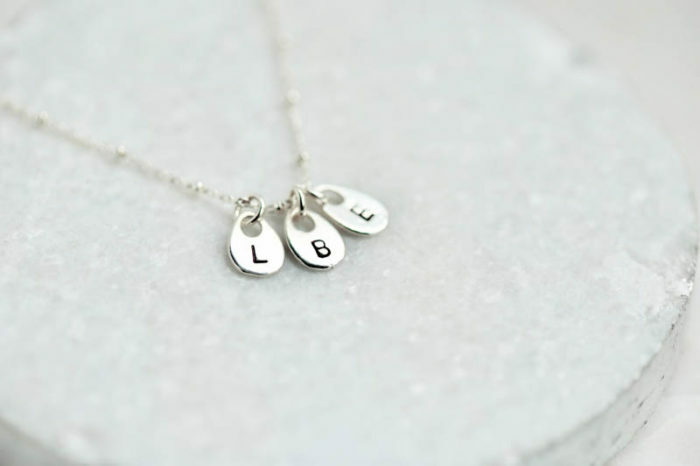 Perfectly simple and delicate personalized sterling silver initials on a sterling silver beaded chain. 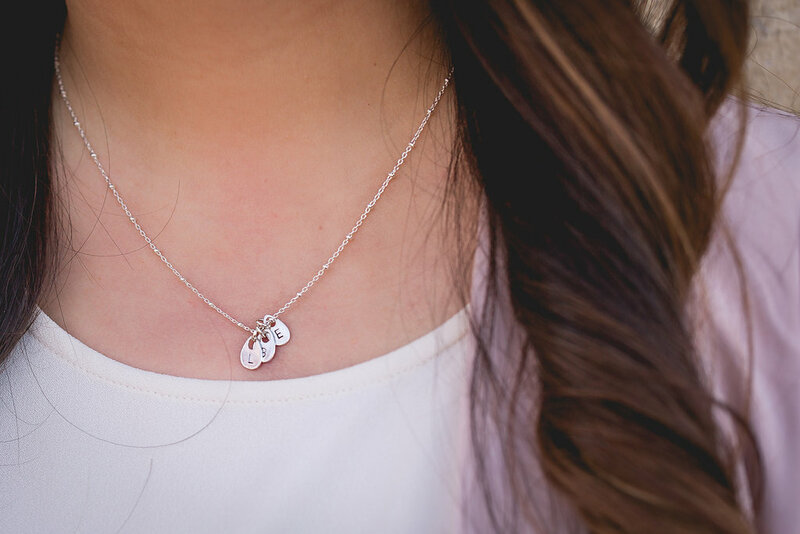 Whether you present this as a gift or wear it to keep your loved ones close to heart, it is sure to be treasured. 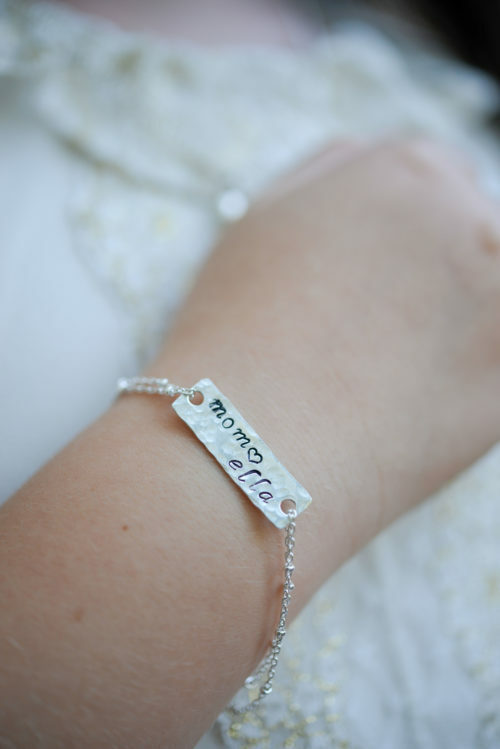 Hand-stamped on a 10mm tall sterling silver drops, each initial represents your loved one. Beautiful alone, it also blends well with layered necklaces. 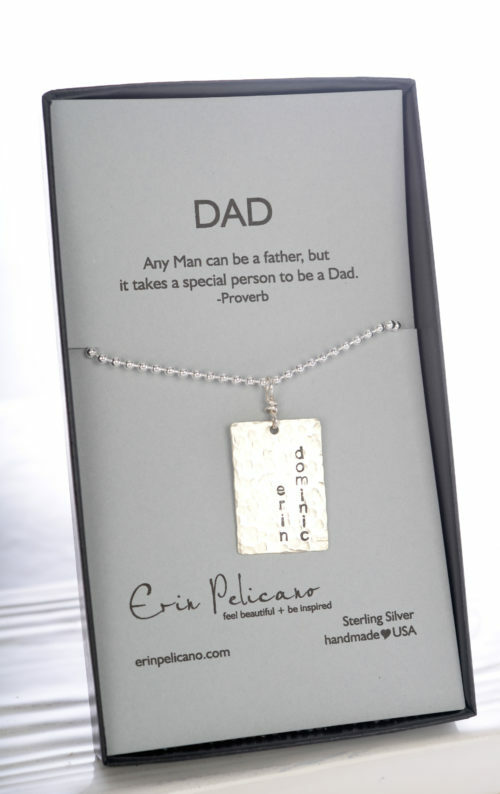 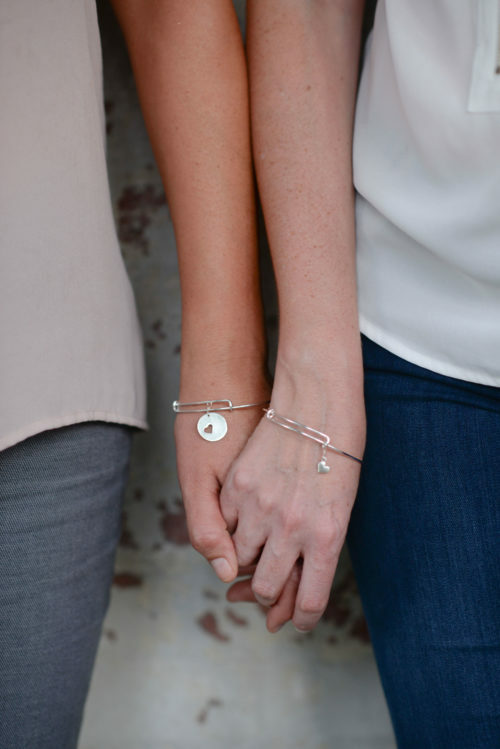 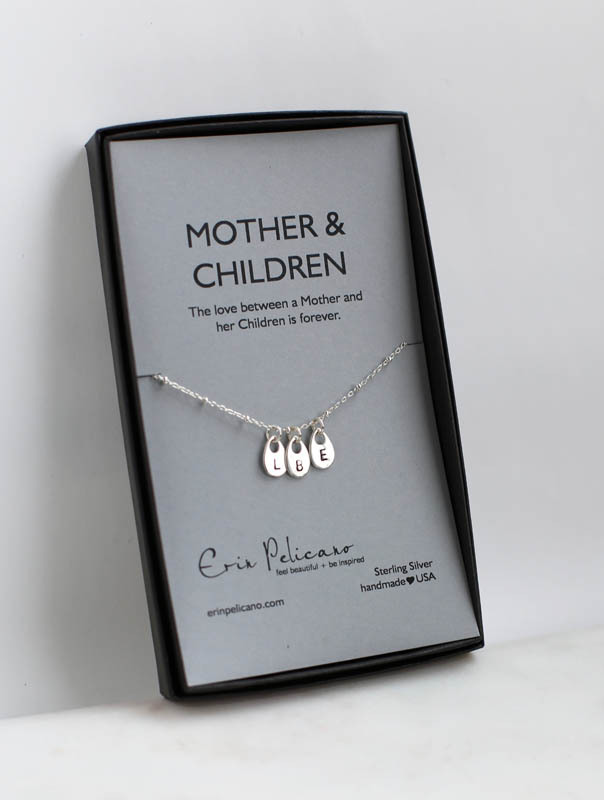 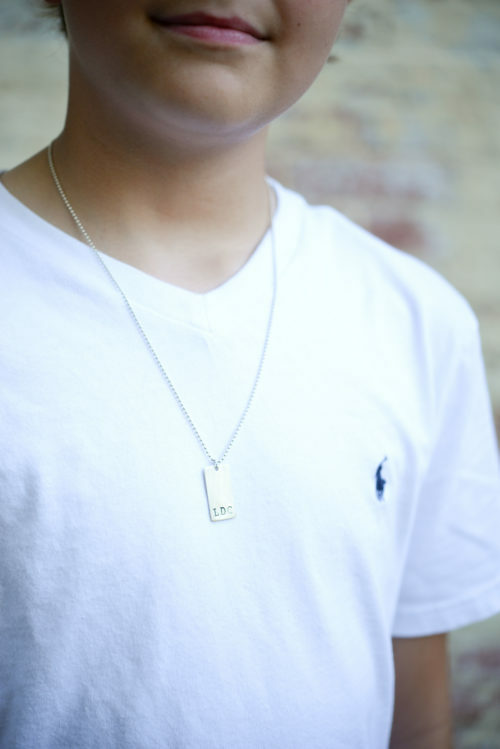 The sterling silver beaded chain is 18″ long and is presented on a card that reads, “The love between a Mother and her Children is forever.” This item is handmade to order. 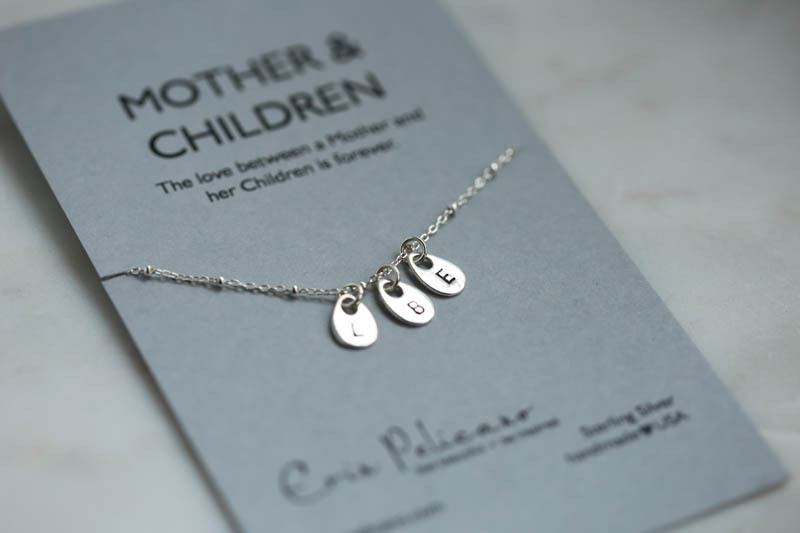 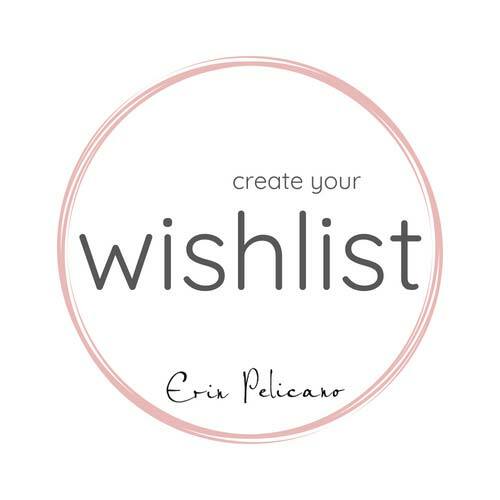 Or choose gift cards that read Love, or Friend.